Obama’s comments come just one day after Hendrik told a news conference that the Baltic state would welcome NATO bases on its territory. "We should not have NATO with two-tier countries: with NATO permanent bases and without. This is a wrong signal to send to the potential aggressor," the Estonian president said. 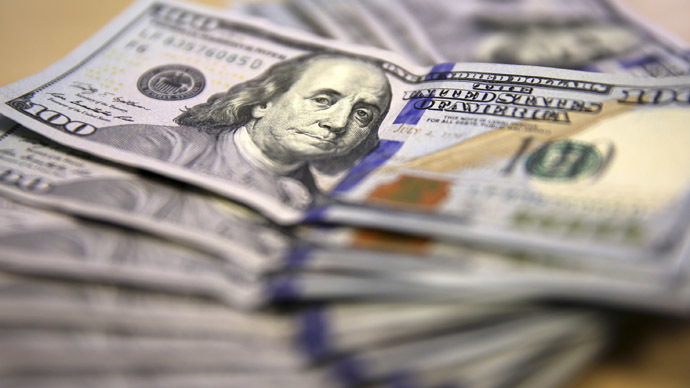 The United States and Estonia, which has a complicated history of relations with Russia, are two of four NATO members that contribute 2 percent of their GDP to defense spending. Obama's visit to Estonia precedes a NATO summit in Cardiff, Wales on Thursday where the 28-member military bloc will discuss the crisis in Ukraine that has embroiled the Western security organization in a standoff with Russia, which the United States has accused of interfering in the Ukrainian conflict. Moscow has vehemently rejected such claims. On August 28, NATO provided satellite images that allegedly showed Russian military units moving in a convoy formation with self-propelled artillery in the area of Krasnodon, Ukraine. Russia’s Defense Ministry spokesman Major-General Igor Konashenkov ridiculed the alleged NATO evidence. The General also criticized Western media outlets for accepting such images at face value. Meanwhile, an alliance of seven former US intelligence officers is asking NATO members to recall the 2003 invasion of Iraq before authorizing any military action. “We saw no credible evidence of weapons of mass destruction in Iraq then; we see no credible evidence of a Russian invasion now,” reads an excerpt from the memo signed by the VIPS steering group — a coalition that counts among its members former National Security Agency analyst William Binney, retired CIA analyst Ray McGovern, retired US Army Colonel Ann Wright and others. The statement was published online over the weekend and addressed to German Chancellor Angela Merkel. Shortly after Obama arrived in Tallinn, Russian President Vladimir Putin and Ukrainian President Petro Poroshenko discussed the steps that could lead to a ceasefire between the warring sides in Ukraine. “In the course of today’s phone call between Putin and Poroshenko there was indeed an exchange of views that went a long way toward an agreement on steps to be taken for a swift end to the clashes taking place between the Ukrainian military and southeastern uprising,” Putin’s spokesperson Dmitry Peskov said. 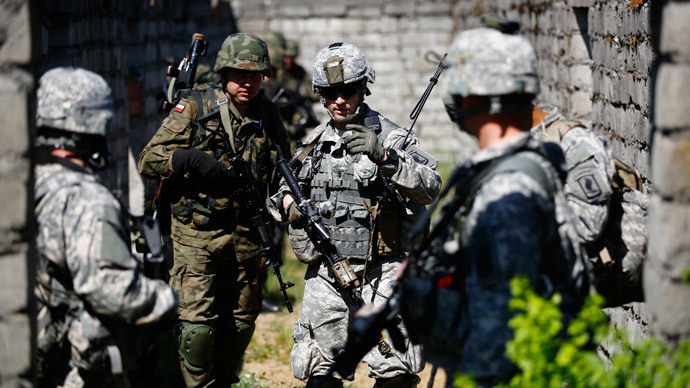 Meanwhile, NATO is reportedly working towards organizing an expeditionary force composed of 10,000 troops from seven different member states as a result of escalating tensions with Russia over the conflict in Ukraine. Last week, NATO Secretary-General Anders Fogh Rasmussen said they would attempt to agree on “a more visible NATO presence in the East” despite internal opposition. Asked in an interview with a handful of European newspapers on August 27 whether NATO would permanently deploy forces under its flag in Eastern Europe, Rasmussen was quoted as saying: “The brief answer is yes. To prevent misunderstanding I use the phrase ‘for as long as necessary. Our eastern allies will be satisfied when they see what is actually in the readiness action plan." However, several NATO members have expressed reservations over the enlargement plans, saying they do not see the point in aggravating tensions with Moscow. 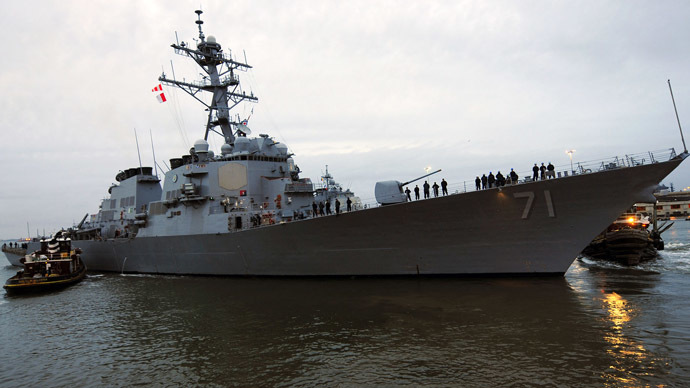 Heavyweight NATO members, including France, Spain and Italy, have voiced objections to the plans. Meanwhile, Germany, NATO’s second strongest member, remains uncommitted to the expansion plans. This places Barack Obama in a rather difficult position. His popularity has dramatically tumbled among America’s traditional European allies over the Snowden revelations, which showed the National Security Agency conducting a massive surveillance operation against enemies and allies alike. Estonian Prime Minister Taavi Roivas on Tuesday attempted to tamp down fears among Estonians that the country would soon be overrun by NATO forces. The Estonian leader then employed a weather metaphor, perhaps in an attempt to suggest that a new Cold War is once again threatening Europe. "All of Europe has realized that the security situation has changed. This is not a just temporary change in the security situation," Roivas added. "It’s not just bad weather, it’s comparable to climate change." On average, military spending among European NATO members was 1.6 percent of GDP last year, below the 2 percent goal. 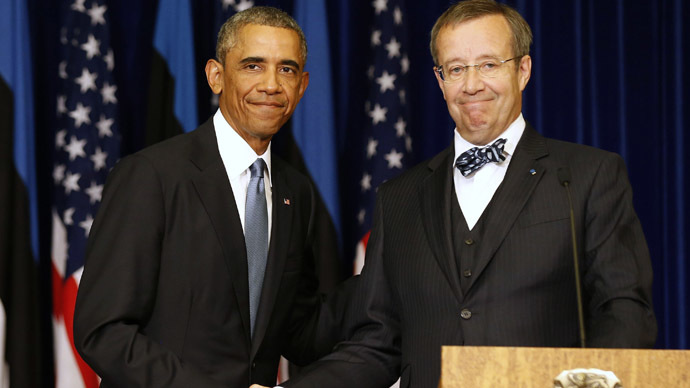 Later Wednesday, Obama and Ilves were to hold broader security talks to include the leaders of Latvia and Lithuania. Then Obama departed for Wales, where a two-day NATO summit will begin on Thursday.